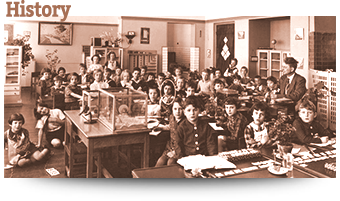 Since the early days, The Montessori Method has challenged our industrial notion of what a classroom looks like. 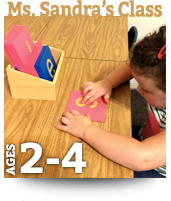 For those who are not willing or able to slow down long enough to observe real children during acts of real discovery, as Maria Montessori did, the idea of a child-directed classroom seems more like a holiday than a place for serious learning. 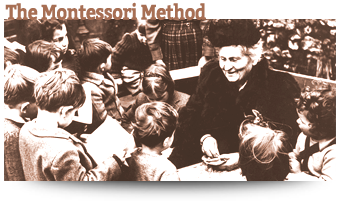 For this reason, Montessori required all of her teacher/trainers to spend time observing in an accredited Montessori program — to follow the child — before being certified as Montessorians. 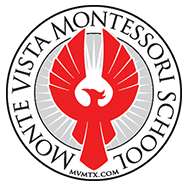 Each of the Montessorians at Monte Vista Montessori School have taken this central requirement to heart. 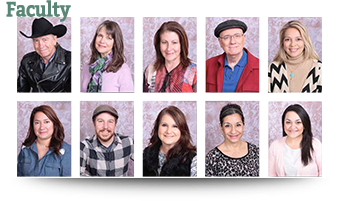 Please visit the history page for a quick trip through three generations from Maria Montessori to Elizabeth Kok, to Joanna (Hanna) Laven to the Montessorians currently on the MVM team. The upshot of that history is that children arrive at our door as the ultimate explorers — observing everything, touching everything, and asking oh-so-many questions. 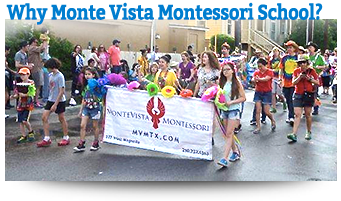 Our job is to fan those flames of exploration and make MVM a safe and carefully structured place for San Antonio’s children to continue the natural exploration already in progress. Child-Directed Work — What may at first seem overly ordered and disciplined for such tiny children, is actually the look and sound of children deciding the direction of their own steps. 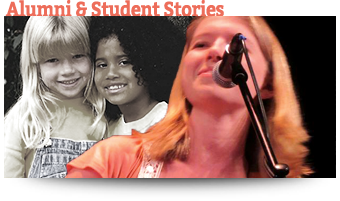 We want to fuel that inner flame that directs the child’s work towards joyful accomplishment, not douse it with an adult’s agenda of the day. Structured Environment — Parents know that a well-timed distraction with toys or keys might save the family from a bored toddler’s noisy outburst in a crowded restaurant. In contrast, the classroom activities, while they are engaging and entertaining, are designed for instruction, not diversion. Thus there are rules to the game, ways of engaging with the classroom, the materials, and one another, that support the child already on the path from young explorer to engaged citizen. Uninterrupted Work Periods — Put simply, a child on her own path needs her own time to follow it during “sensitive periods” when her excitement for that subject is at its fullest. 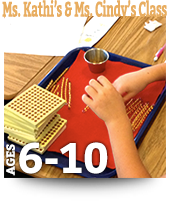 In a Montessori classroom, you will see teacher/directors giving very specific instructions for proper use of the Montessori Materials. Everything in this “children’s world” is designed to present one challenge at-a-time to increase the child’s chances of making joyful discoveries. 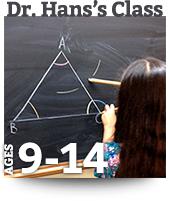 Mixed-Age Classrooms — As with any good team, individual children lend their experience and expertise while naturally learning to question one another. As developing citizens, children learn both to ask and to answer questions, which helps both children along the personal path of discovery and creates an empowered atmosphere of community stewardship. 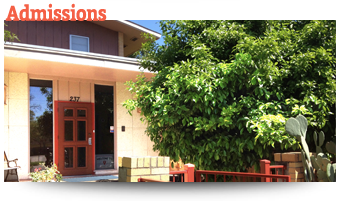 We thank you for visiting the site and invite you to visit the school to observe first hand what self-directed education looks like. Meanwhile, we were delighted when a parent shared the videos below. 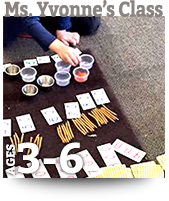 We think they really capture the soul of the Montessori Method.